Minneapolis, MN. June 29, 2015. 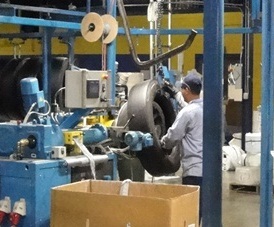 Advantage ID, leading supplier of application specific consumables for the commercial tire industry, has updated their website. This includes the addition of some new products such as laminate label protectors, and a new design for metal curing-envelope labels. All information is available at Advantage ID. Most notable of the new offerings is a clear laminate label protector. Often used on finished goods / product labels, it preserves the printed information and the barcode throughout the shipping process. If information is not readable; tracking and inventory can be frustrating, time consuming and costly. The label protectors are available in two sizes (3” x 6”, and 3.5” x 7”) standard to most product labels. Custom sizes can also be produced. Labels are easy to use peel-and-stick, and can be peeled manually off the roll, or used with an available dispenser. 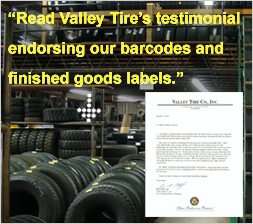 Commercial tire customers count on Advantage ID to be their one stop label shop. Samples and details for any ADID product are available. And our e-commerce website is accessible for order placement 24/7. Please email your request for information, samples or website order info to clientservices@advantageid.com, or call 800.328.2612 x 0.